I love working with unique materials in my binding experiments. 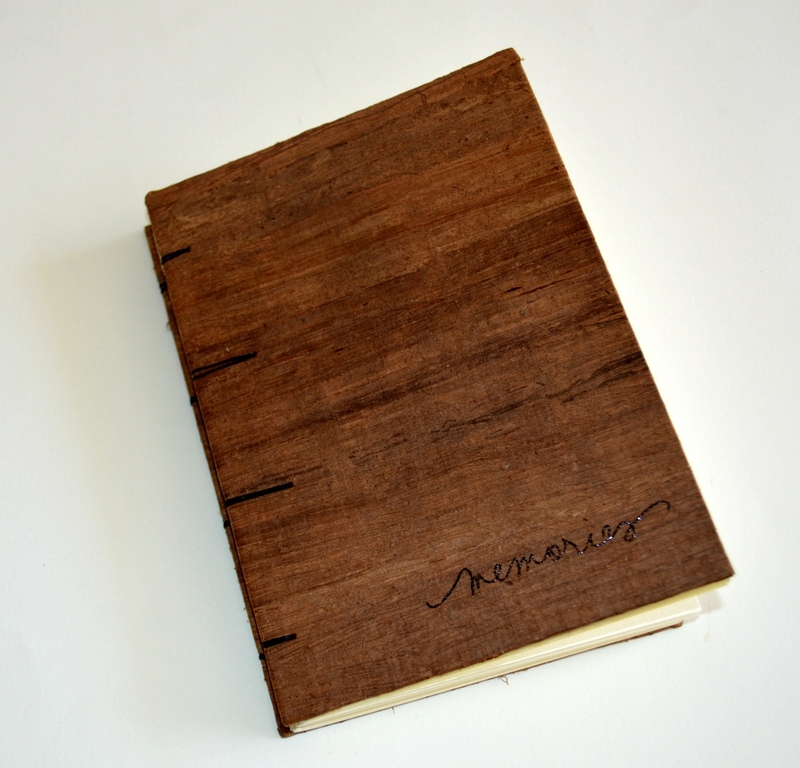 This wooden book uses one of my late favorite materials, as it is bound with original Egyptian Papyrus. Papyrus is made from the stem of the papyrus plant, Cyperus papyrus. It feels like wood but it is flexible and strong, and gives a unique rustic and natural look. In the right corner I have stamped and embossed the word "memories"
The book is bound according to the Coptic binding method , which permits the book to open flat, using strong irish wax linen thread in black. The inner pages are of a French cream smooth recycled paper of 160 gsm, and are suitable for ink, pencil and charcoal. It is also acid free, chlorine free and suitable for photos. The book has 100 pages (counting both sides) and it is of A5 size. It comes with its own cotton bag, to be stored safely and/or be nicely presented as a gift. It can be used as a wedding guest book, a writing journal, a journal diary, a travel journal or a scrapbook album.